, knt. 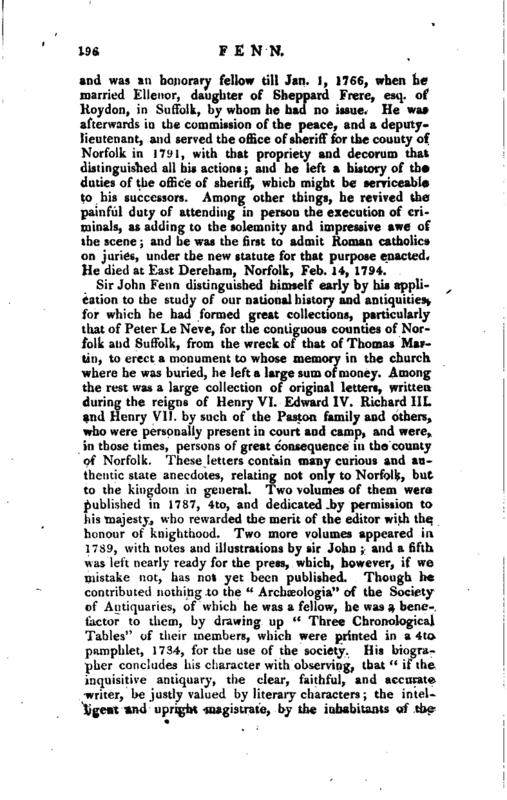 an English antiquary, was born at Norwich, Nov. 26, 1739, and educated partly at Scarning, in Norfolk, and partly atBoresdale, in Suffolk, after which he was admitted of Gonville and Caius college, Cambridge, where he proceeded B. A. 1761, M. A. 1764, | and was an honorary fellow till Jan. 1, 1766, when he married Ellenor, daughter of Sheppard Frere, esq. 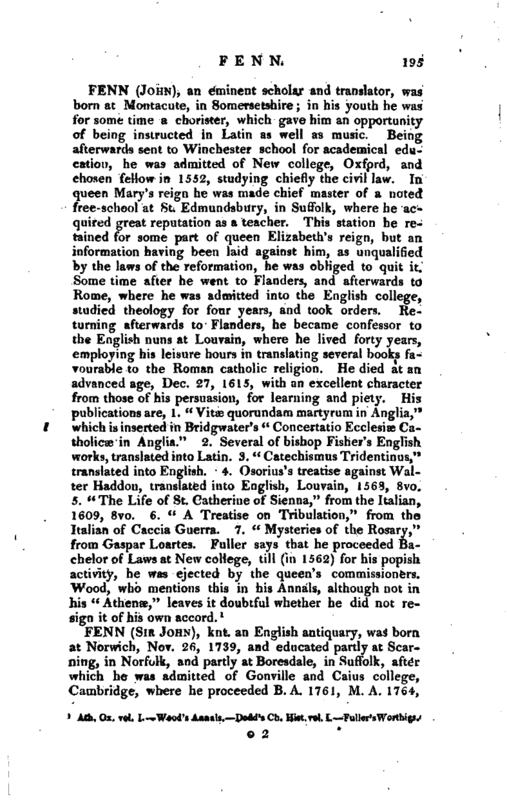 of Roydon, in Suffolk, by whom he had no issue. He was afterwards in the commission of the peace, and a deputylieutenant, and served the office of sheriff for the county of Norfolk in 1791, with that propriety and decorum that distinguished all his actions; and he left a history of the duties of the office of sheriff, which might be serviceable to his successors. Among other things, he revived the painful duty of attending in person the execution of criminals, as adding to the solemnity and impressive awe of the scene; and he was the first to admit Roman catholics on juries, under the new statute for that purpose enacted. 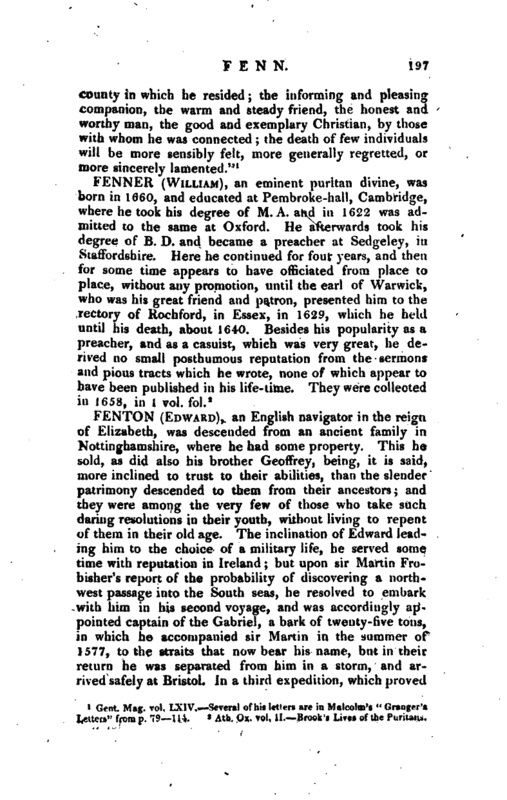 He died at East Dereham, Norfolk, Feb. 14, 1794. Gent Mag vol. LXIV. Several of his letters are in Malcolm’s “Granger’s Letters” from p. 79~114.